A Midwest manufacturer of gear boxes, disc brakes and clutches requested TMI Coatings to recommend and install a floor coating in their machine area which was approximately 16,785 sq. ft. including striping in the aisles. The customer was ordering new machines and moving machines so this project had to be completed in four job mobilizations. 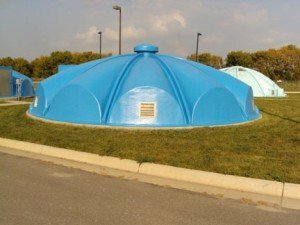 TMI’s Project Manager, Steve Sirek and Job Superintendent, Jeff Henry worked together to complete the project in a timely manner to reduce the Owner’s downtime. 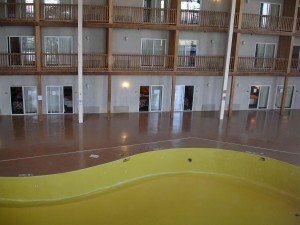 The customer sectioned off approximately 3,500 sq. ft. per mobilization. 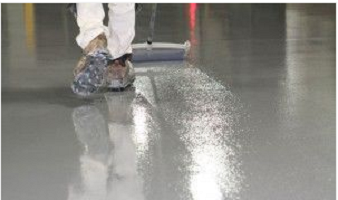 TMI then prepared the floor surface by vacuum steel shotblasting, further grinding with hand-held grinders with vacuum attachments. TMI then repaired severely cracked and eroded areas by restoring to surrounding plane. 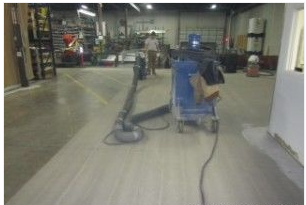 Then applied TMI CHEM-RESIST flooring system consisting of a 100% solids, low odor epoxy resin with aggregate fillers. In the production area, TMI installed flooring at approximately 60 mils thick because there is not forklift traffic, mainly foot traffic. 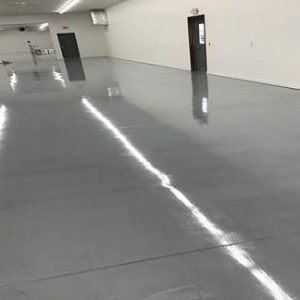 In the aisle and shipping/receiving areas, TMI installed a 1/8” thick floor topping which is suitable for industrial use. TMI then installed line striping on both sides of the pedestrian walkway for safety. The customer was very happy with TMI’s workmanship.